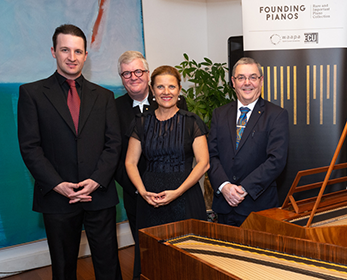 Australian Consul-General, Michaela Browning, and Professor Steve Chapman CBE, Vice-Chancellor of Edith Cowan University, recently hosted a special evening for the Founding Piano collection in Hong Kong. “Founding Pianos – Where the past meets the future”, is one of the world’s most significant collections of 18th and 19th century pianos. The collection includes Australia’s first piano, the First Fleet piano. This historic keyboard survived an arduous six-month journey at sea aboard HMS Sirius before arriving on our shores in 1788. A select number of dignitaries and special guests were invited to the stunning official residence of the Consul-General in Hong Kong to attend an intimate salon performance led by WAAPA's world-renowned forte pianist, Professor Geoffrey Lancaster AM. Guests were introduced to the incredibly important collection and taken on a musical journey to meet instruments that some of the world's greatest composers would have used to create their iconic masterpieces. In addition to the private consul-general event, select pieces from the collection were exhibited at Hong Kong’s Academy for Performing Arts (HKAPA) and the Tai Kwun Centre for Heritage and Arts in November 2018. 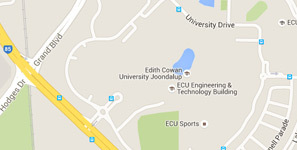 The remarkable keyboard collection comprises of 140 rare pianos donated to the Western Australian Academy of Performing Arts (WAAPA) at Perth’s Edith Cowan University (ECU) by Sydney collector Stewart Symonds. The collection also includes a piano owned by the flute player in composer Joseph Haydn’s orchestra and several of the last surviving pianos made by Europe’s greatest master makers. Please contact us or visit foundingpianos.com.au for further information on how you can support the incredible and historically significant Founding Pianos collection.